Imagine one shop, with all you need for a child's first few years. Literally everything. 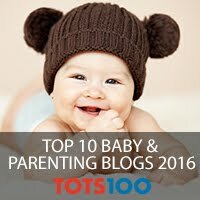 The bedroom furniture, the car seat, the pushchairs, the clothes, the bedding, the food, the nappies and the toys. All in one place, and all on display so you can play before you pay. 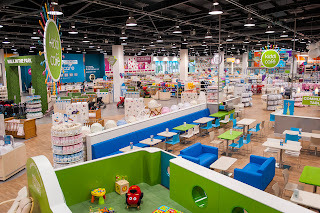 Welcome to Kiddicare Lakeside. I was amazed at the size of the shop and how they literally had everything there to be touched. 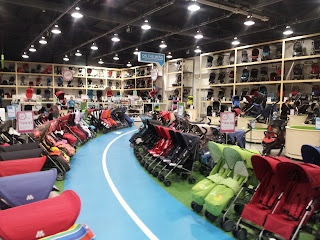 My own mini heaven with 350 different pushchairs, and a mini track to test them out. All the beautiful colours and styles that I look at online and all the accessories. 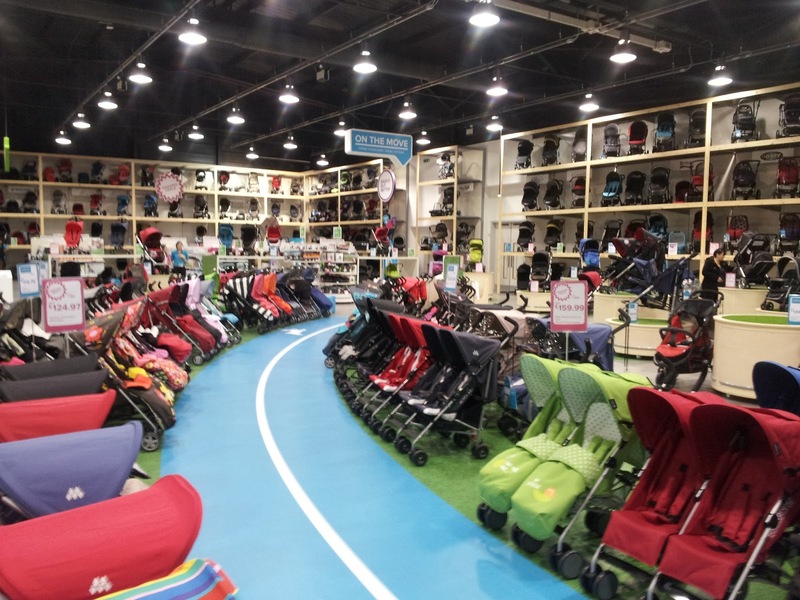 In the car seat section, not only can you have your purchase fitted free of charge in your car, the trained staff can also come out to the car park and check your existing seat - no matter where you bought it from! Their genius system means you take a number and can leave your mobile number and peruse the store until your text comes through letting you know they are ready for you. No more waiting around, small person in tow unnecessarily. The most important part of the shop for us, was the cafe. My little man is not so nice to be around when he gets hungry, and they had a huge selection of toddler snacks as well as meals and Starbucks coffee. They even had a play area, easily watchable from the seats yet secure enough to keep the little ones where they are supposed to be. The cafe was spacious and calm and a great place to go for a coffee and weigh up the important decisions, like which snowsuit you want to take your new baby home from hospital in (I went for a gorgeous white penguin one). There is a private breastfeeding area as well for if you need some peace. The toilets are so well thought out, that every cubicle in both male and female has a child sized toilet and enough space for a pram. There is also a seperate baby changing room, which Dylan loved as he could practice his new words as he was changed - yellow, purple and the big favourite at the moment - circle, thanks to the lovely colourful walls. 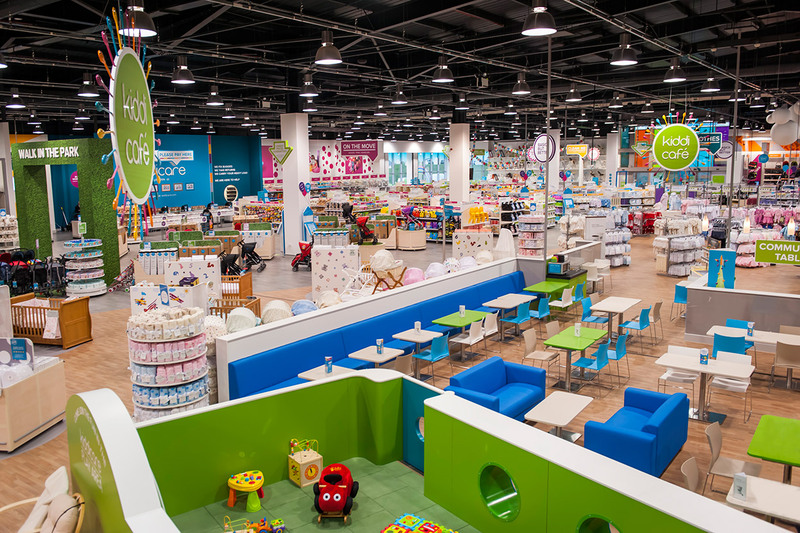 The event room at the back is perfect for classes and we were entertained with a Jo Jingles music class whilst we visited the store. Dylan was getting rather hungry and tired by this point, but he had a proper boogie! One thing I was really impressed with was the prices. 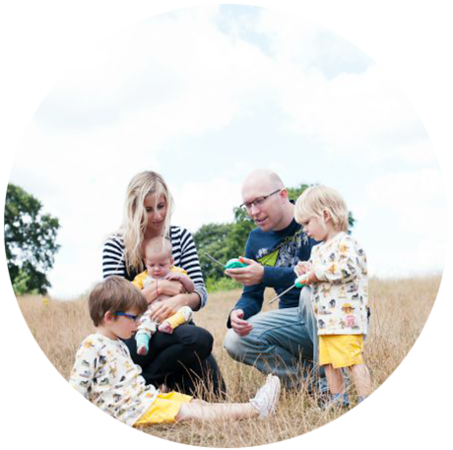 Kiddicare has the same prices online and offline and all their shelf labels are electronic meaning they can be changed without wasting paper or making mistakes. The labels also tell you how many of each product are left so you know whether to snap it up right away! 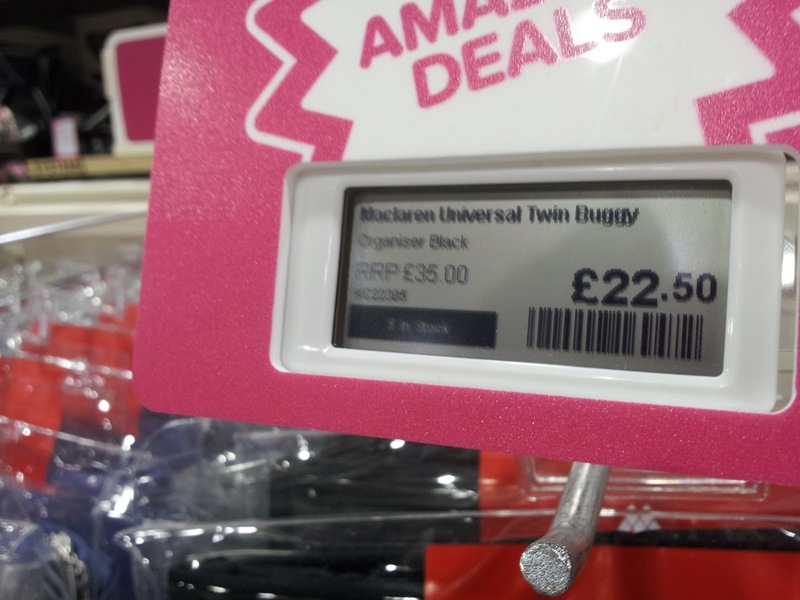 I thought their prices were incredibly reasonable and much cheaper than a lot of other baby shops. 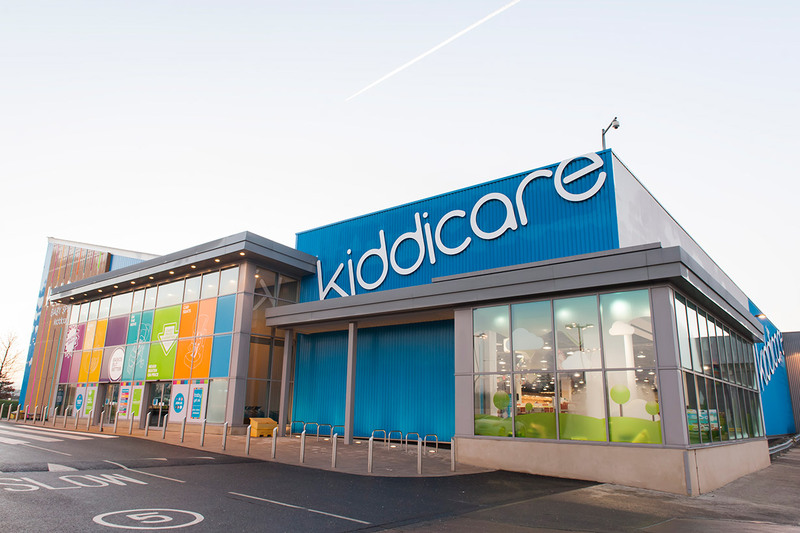 Kiddicare Lakeside is the perfect place for a first time pregnant mum, as she can get advice, test everything out and make all her purchases in one place. They can even deliver anywhere in the UK free of charge if you spend more than £30 instore so it doesn't matter if your car is not big enough for all the goodies you want. 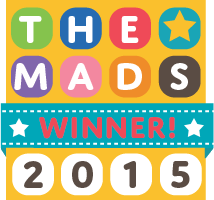 It is also a great meeting place for friends with children, as there is enough to keep the kiddies entertained whilst the adults enjoy a cappuccino and you can pick up all the bits you need whilst you are there! 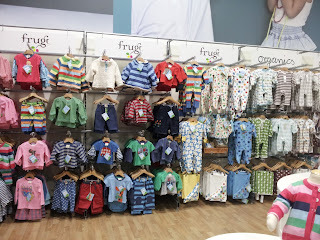 I was really impressed with the shop, and finished off my Christmas shopping whilst I was there as well as buying a few bits for the new baby. I can't wait to go back and test out some double buggies on the race track! 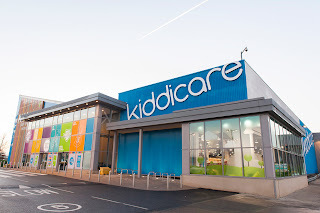 Disclaimer: I was invited to a blogger day out at Kiddicare Lakeside and provided with a goody bag as well. All thoughts and opinions are my own of course. Looks amazing. Could do with one near me!